While Pennsylvania is synonymous with the founding of America, few realize that America’s first president, George Washington, spent much of his public career in the state. From his commissioning as an officer in the British Army in 1753 until the time his presidency ended in 1797, Washington spent the majority of his time at various locations in Pennsylvania. Fort Necessity National Battlefield in the Laurel Highlands of Pennsylvania was the site of Washington’s only military surrender and some of the first shots of the French and Indian War. 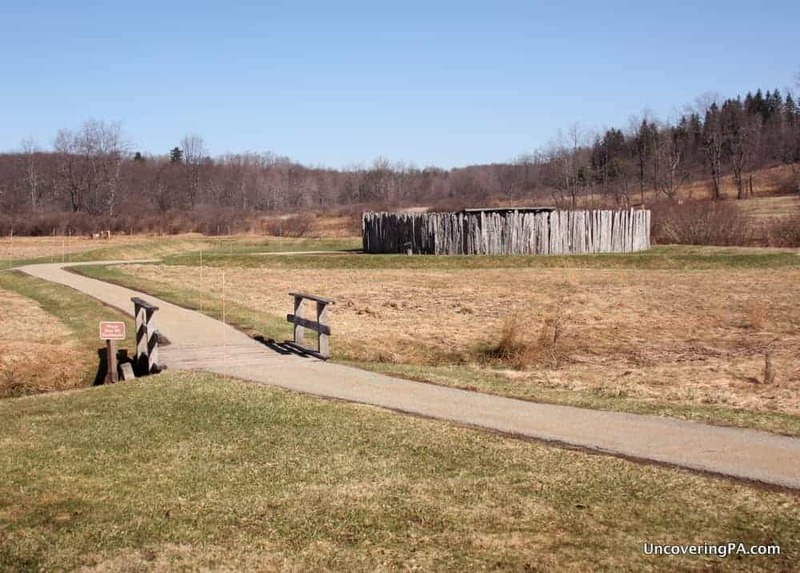 Of all the locations associated with George Washington in Pennsylvania, it’s likely that none changed the course of history and Washington’s life as much as Fort Necessity. In 1754, a 22-year old Washington was leading a small contingent of British troops west towards the Forks of the Ohio (Pittsburgh). However, along his journey, he encountered a group of French soldiers at what is today known as Jumonville Glen in Fayette County, Pennsylvania. The ensuing skirmish (or ambush, depending on whose side you take) represented the first shots of what would become known as the French and Indiana War in America and the world-wide conflict known as the Seven Years’ War. After the battle, Washington knew French reinforcements would be hot on his trail, so he hastily built the aptly named Fort Necessity. A few days later, the French attacked and, for the only time in his career, Washington surrendered. However, the war that Washington and his troops started would continue to rage around the world for the next seven years and lead directly to the Revolutionary War and American Independence. 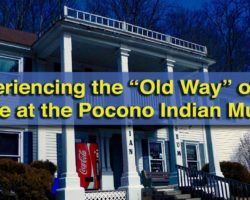 To learn more about this impressive site, check out my full review about visiting Fort Necessity. The outline of the President’s House that once stood in Philadelphia. Many forget that George Washington spent the entirety of his presidency in either New York City or Philadelphia. During his years in Philadelphia (1790-1797), Washington resided in the President’s House. This grand home was located at the corner of Market Street and 6th Street, just a block away from Independence Hall in the heart of downtown Philadelphia. The home was torn down in the early 1800s and was largely forgotten until recent years. However, when planning for the Liberty Bell Center, the foundations of the home were uncovered. Today, the President’s House is symbolically represented by rebuilt brick walls and metal pillars outlining where it used to be. 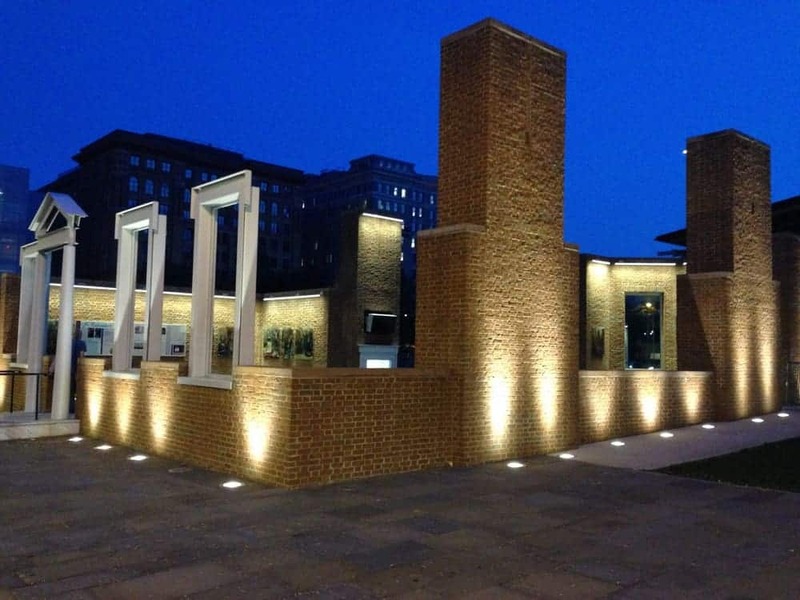 Inside this open-air structure, you can learn more about slavery in Philadelphia, an homage to the nine slaves Washington kept at this home while President. There are also several places where you can look down at the home’s foundations. 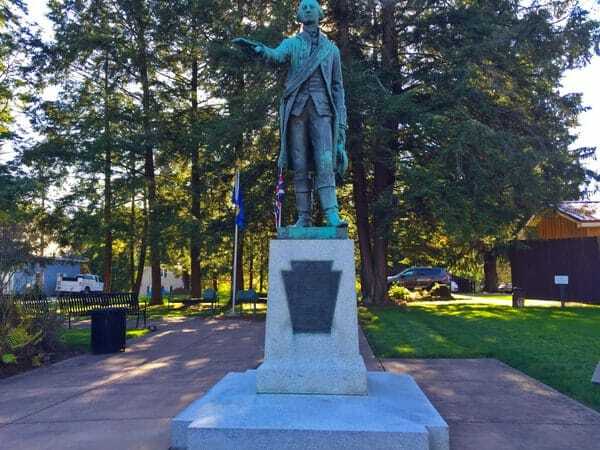 This statue of George Washington in Waterford, PA, is the only one of him in a British uniform. Northwestern Pennsylvania might be one of the last places you think of when it comes to George Washington, but his first mission as a major in the British Army was as an ambassador to the French and Indians in western Pennsylvania. At Fort LeBoeuf, just a few miles south of present-day Erie, Washington and his troops met with French commanders for three days. Here, Washington delivered a letter to the commander ordering him to leave the Ohio Valley, a command the French officer said he didn’t have the authority to comply with. Ultimately, Washington left with nothing more than a letter for his commander. Today, Fort LeBoeuf is long gone. However, the town of Waterford, which has sprung up around the site, is home to the only statue of George Washington in a British uniform. 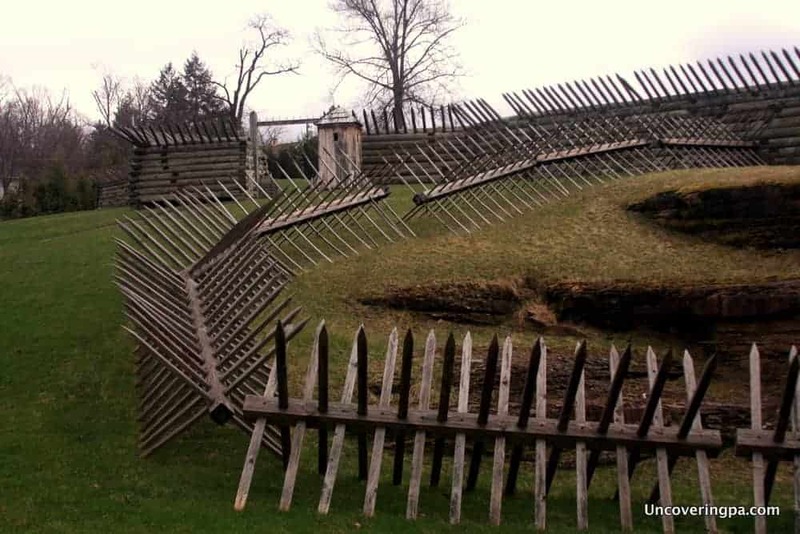 The local historical society, known as the Fort LeBoeuf Historical Society, is open to the public and has lots of great information about the series of forts that occupied the area. One of the most iconic scenes of the entire Revolutionary War is of Washington and his troops crossing the Delaware River. Today, Washington Crossing Historic Park in Bucks County, Pennsylvania, commemorates this important moment in US history. Truthfully, little of what’s at the site has to do with Washington’s brief, but important, visit to the area. However, for those that are familiar with the painting, this is a great place to visit to see where the events took place. Even better, visit on Christmas Day to see their annual reenactment of Washington’s crossing of the Delaware River. For more information about this area, and how it’s connected to President James Monroe, click here to read my review of visiting Washington Crossing Historic Park. Fort Ligonier in Westmoreland County, Pennsylvania. Washington’s defeat at Fort Necessity wasn’t the last time he ventured into western Pennsylvania during the French and Indian War. In 1758, Washington was stationed for a time at Fort Ligonier, a large British settlement in the present-day town of Ligonier. Washington’s time here was uneventful, but his presence is certainly felt in the fort’s modern-day museum. While the museum focuses a lot of its attention on the world-wide implications of the French and Indian War (known as the Seven Years’ War outside of the US), it does have one artifact that’s worth the price of admission by itself. Located in a corner of the museum, in a glass case inside of a dimly lit room are two pistols that once belonged to Washington. Presented to him by Marquis de Lafayette during the Revolutionary War, the pistols were by his side at Valley Forge, Yorktown, and when he rode out to put down the Whiskey Rebellion. For more information about the fort, check out my full article about visiting Fort Ligonier. The home that General George Washington used as his headquarters while at Valley Forge. Of all the Revolutionary War events connected to George Washington, his encampment at Valley Forge might be the most well-known. In December 1777, Washington’s army came to Valley Forge demoralized after losing the city of Philadelphia just a few weeks prior. After a very hard winter, the army emerged from Valley Forge six months later ready to take on the British and ultimately win the war. Touring the grounds of the Valley Forge National Historic Site is a great way to learn more about Washington and his army’s struggles and triumphs during the Revolutionary War. More information can be found in my article about visiting Valley Forge. In 1794, the newly formed United States faced one of its firsts tests when a small group of western Pennsylvanians decided to fight back against what they saw as an unfair tax on whiskey. The Whiskey Rebellion didn’t end up amounting to much, but that doesn’t mean that it wasn’t an important moment in history. In fact, the Whiskey Rebellion marked the only time in American history where a sitting US President led troops into battle. However, despite this distinction, Washington didn’t go all the way to Washington County to fight the rebels. Instead, he stopped in Bedford County and let his troops go ahead without him. As the nicest home in town, Washington stayed in the home of Colonel David Espy. 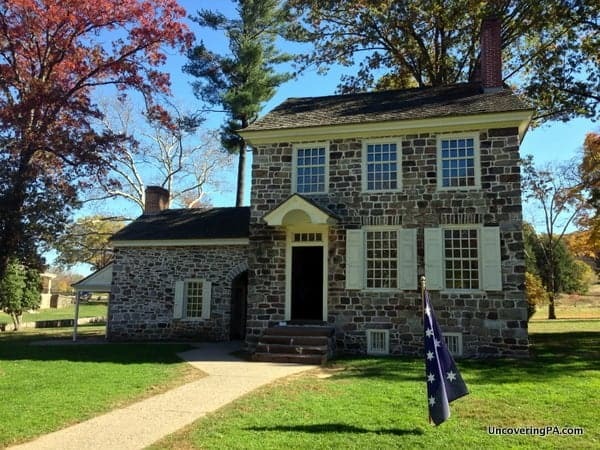 Built in 1766, this stone home was Washington’s headquarters from October 19-21, 1794. Today, the house is divided into a bakery and apartments. For more information on the Espy House, check out this page from the Bedford County Visitor Bureau. The Peter Wentz Farmstead in Montgomery County was Washington’s headquarters for several weeks during the Revolutionary War. 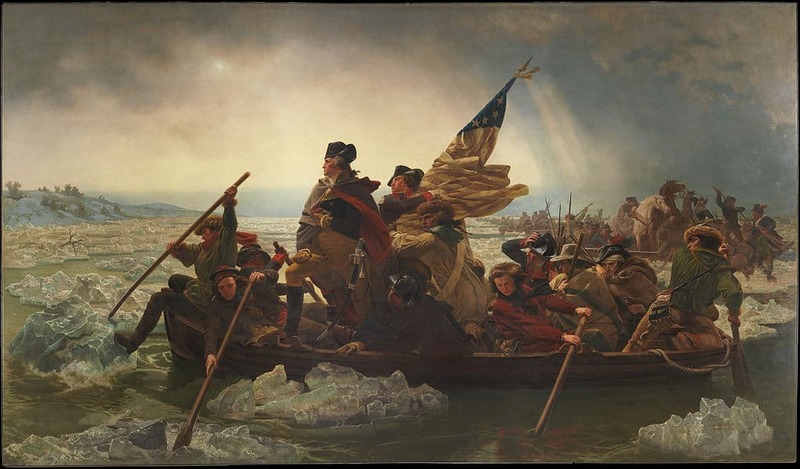 In October 1777, just a few months before settling into Valley Forge for the winter, George Washington and his Continental Army were still trying to recapture Philadelphia from the British. On his way to and from the Battle of Germantown, Washington and his troops camped on the farmland of Peter Wentz in Montgomery County. Washington’s stay during his two visits totaled only about a week, but his legacy at the home continues on today. Tours of the Peter Wentz Farmstead are available for anyone wanting to learn more about Washington’s time in the home. However, it’s the paint on the interior walls that’s even more interesting. Clink the link to check out my full review of visiting the Peter Wentz Farmstead. 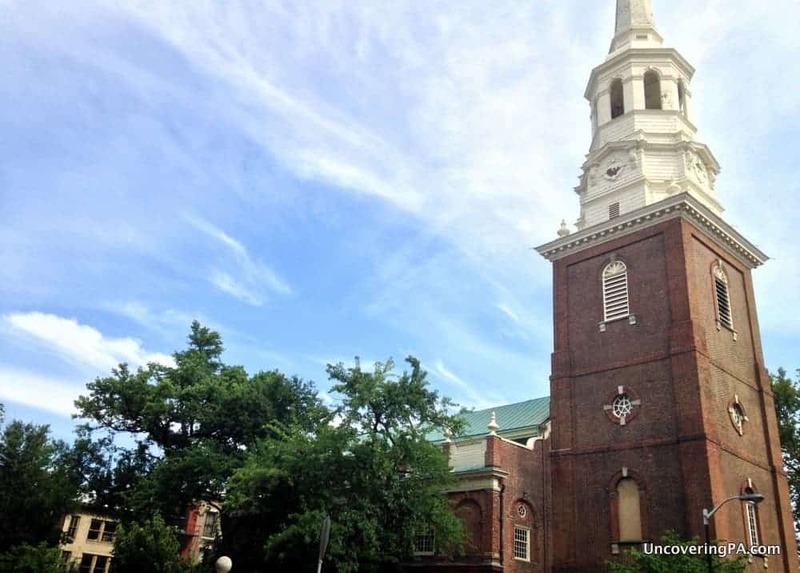 Christ Church in Philadelphia was where George Washington and many other Founding Fathers worshipped. Christ Church in Philadelphia’s Old City is probably the most historic church in all of America. During the Continental Conventions, the Founding Fathers would all come to this church to worship on Sunday mornings. This tradition continued into the presidency of both George Washington and John Adams, both of whom worshipped regularly in the church while the US capital was in Philadelphia. In fact, when you visit the church, you can even sit in the pew that Washington sat in while President! For more information about this church and the many other famous people who worshipped here, check out this visit recap of Christ Church. During his lifetime, George Washington made seven trips to western Pennsylvania. During his first trip to Fort LeBoeuf he met a Seneca Indian chief named Guyasuta who helped guide him to the French fort. While Guyasuta eventually fought against Washington in both the French and Indian War and Pontiac’s Rebellion, he and Washington had a mutual respect and met together on two other occasions. 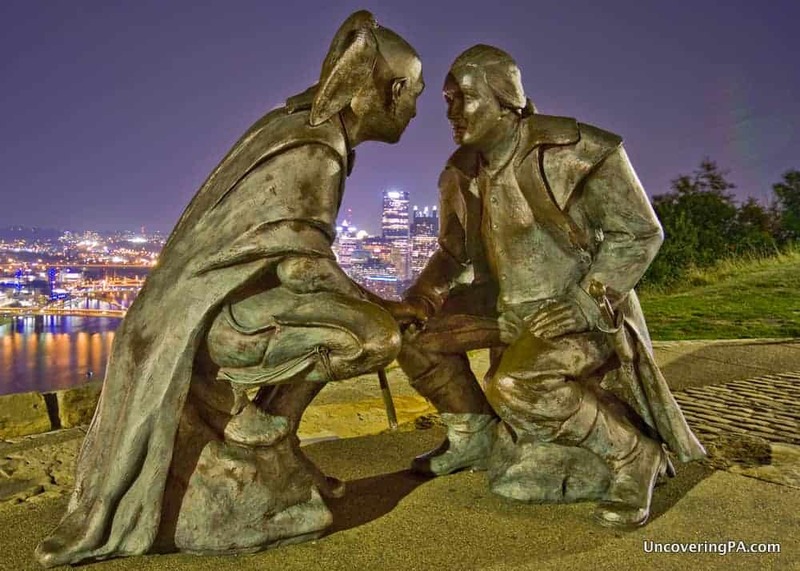 The second time they met together was in October 1770, when Washington and Guyasuta met to discuss a settlement at the confluence of the Allegheny and Monongahela Rivers, where downtown Pittsburgh is located today. True, the two men didn’t meet on top of Mount Washington, where the statue is located, but they did likely meet at a spot visible from the top of the hill. For more information about the story behind this beautiful statue, visit PopularPittsburgh.com. The Rosenbach Museum in Philadelphia has a nice collection of Washington’s writings. It might be a bit strange to include the Rosenbach Museum and Library on this list. After all, the home in which the museum is housed wasn’t built until the 19th century, years after Washington died. 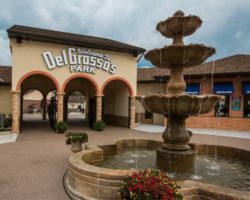 However for those that are interested in learning more about George Washington, there are few better places to visit in Pennsylvania. The Rosenbach Museum is known for having thousands of the most rare books and manuscripts in the world, but one of the highlights of their collection are hundreds of letters and documents written by some of the most famous people in world history. This collection includes over 100 letter written by George Washington, including his first known letter written when he was only 17 years old. These letters are not included on a typical tour, but if you schedule a private viewing in advance, you can view many of these letters up close, even holding some of them in your hands as if Washington had written them to you. 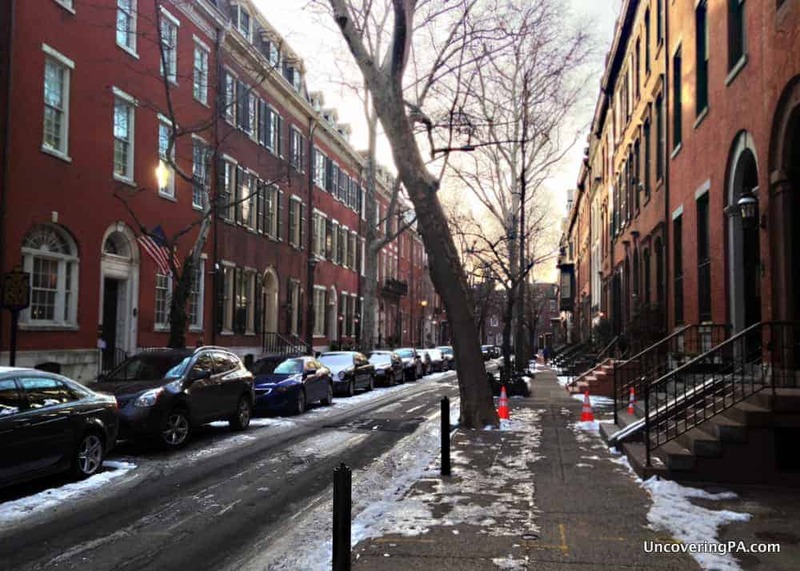 For more information about visiting this amazing place, check out my full review I wrote after visiting the Rosenbach Museum and Library. 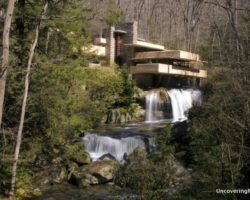 Even better, check out these frequently scheduled tours of the museum that include many letters from a variety of famous people from American history. Note: The photo at the top of the article is used via Creative Commons license from Flickr.com user Photommo. Don’t let your exploration of Washington’s legacy stop here! Washington also visited Independence Hall, the Harris-Cameron Mansion, and Ohiopyle Falls during his lifetime. There are a lot of places that I couldn’t mention this time around. Maybe I’ll make a list of 10 more sometime. Definitely many more places associated with Washington around Pennsylvania. Also, Historic Summerseat Mansion in Morrisville Borough, PA.
Few homes in America have been owned by, or occupied by such important actors of the eighteenth century as Summerseat. Summerseat was General George Washington’s Headquarters in Decembers 1776, owned by two signers of both the Declaration of Independence and the American Constitution Robert Morris and George Clymer, and during General Washington’s time there, Summerseat was owned by Thomas Barclay who would become America’s first consul overseas and who also negotiated the first treaty for the United States with a foreign nation, Morocco. John Adams, and Thomas Jefferson, with whom Barclay worked while in France, recommended Barclay for this position. 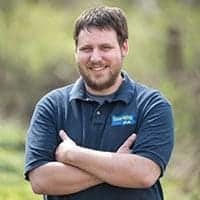 Summerseat was built by one of America’s first self-made men, Adam Hoops, who was born on the Pennsylvania frontier about 1708, and who became one of the colonies wealthiest men by hard work and sheer determination. 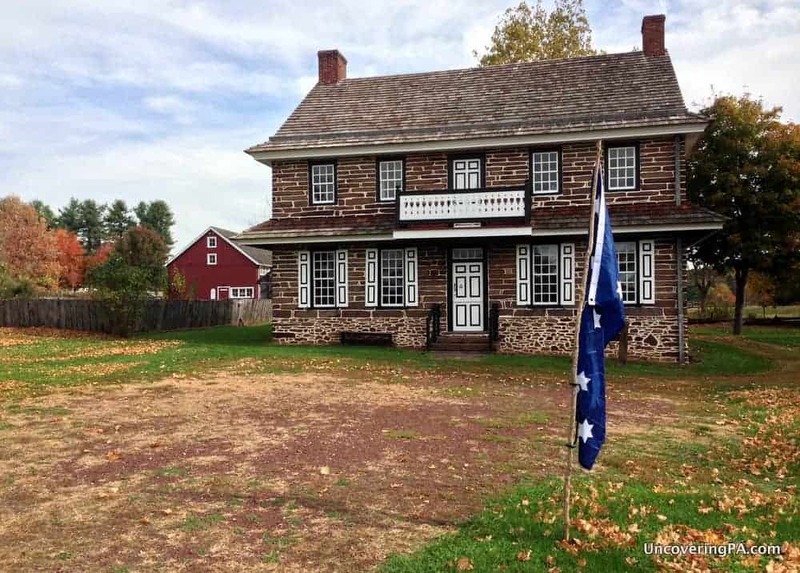 Summerseat is perhaps most famous as the Headquarters of General George Washington from December 8th to 14th, 1776. The well-known directive, “ that all the boats and water crafts should be secured or destroyed.,” was issued by Washington while he was staying at Summerseat. General Washington had not been successful in 1776, he was a defeated general and he would no longer have an army in the new year as the enlistments of most of his hungry, rag-tag troops was over on December 31, 1776. Charles Willson Peale, the iconic painter of George Washington camped on Summerseat’s property while General Washington was at Summerseat. Washington arrived at Summerseat he wrote a letter asking General Lee to “Come to this place”, (Colvin’s Ferry, today’s Morrisville), as Washington was planning to defend Philadelphia from the British. General Lee wrote Washington back and said he thought he’d stay where he was because he couldn’t imagine that the British would attack Philadelphia. In the fall of 1776 members of the Continental Congress were plotting against General Washington because they believed he was a failure. Many generals rode across the land that is now MR Reiter School property and up the marble steps of Summerseat; Thomas Mifflin (future governor of Pennsylvania, Lord Stirling (William Alexander), Henry Knox, General “Mad” Anthony Wayne, Cadwalader, Hugh Mercer, Israel Putman. We all know the story of how General Washington did not go to defend Philadelphia, he turned north and went up the river and 14 days later he changed the world with his success in Trenton on Christmas night, 1776. General Washington sent word across the river as soon as the battle was won, to Thomas Barclay so he would know that it was safe to stay at Summerseat. General Washington also enclosed a letter for Barclay to take to Robert Morris to tell him that he was safe for Morris to stay in Philadelphia. The Sun Inn, here in Bethlehem, is another place to mention. A very interesting summary of President Washington’s travels in PA. I look forward to reading more about our first president’s actions in our state. After the battles of Trenton, the only hospital site for Washington’s troops was in my town, Langhorne, then known as Four Lanes End. There is a cemetery of Patriot soldiers numbering about 166. Does anyone know if George Washington had a house in Versailles, Pa. close to the Youghigheny River? There is a house there with claims to the above.